For this post, I want to show you some of the software that I use on the project management side of my course creation process. I recently launched my WordPress Made Easy course on Udemy, and these are the apps that I used when planning and recording some of my course videos. I really enjoy using mind maps. From a project management perspective, it’s very useful to have mind maps during the course creation process. I would outline some of the key high-level topics that I’m going to be covering on the course and then just let my free thought and association go with structuring some of the subtopics within each of the parent topics. I will show you apps that I used and my thought process behind outlining and task management during course creation. What apps do I use during course creation? I use Mindmeister and Meistertask when building out my courses. 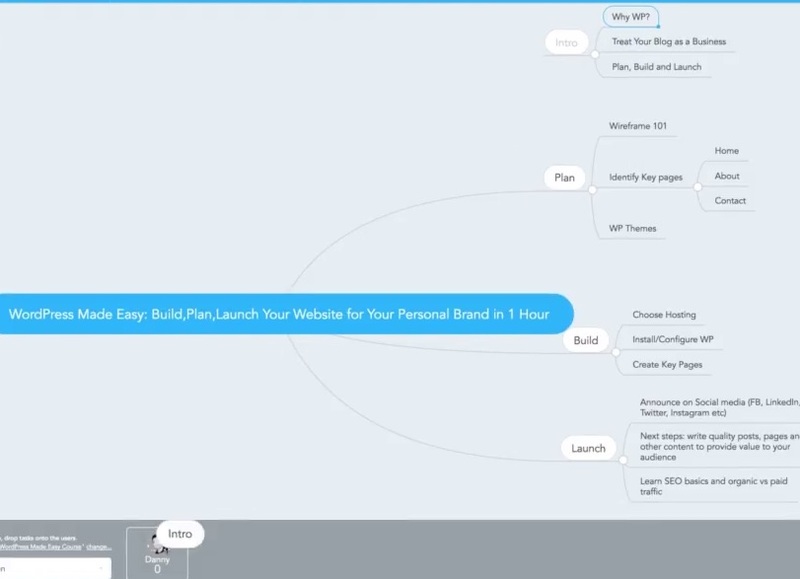 Mindmeister is for mind mapping. I then use Meistertask for task management and the project management side of my business. Both of these apps are used online and are free. They’re also made by the same company, MeisterLabs, and have integrations that are very useful when you’re planning for projects and moving on to the execution phase. How do I use Mindmeister and Meistertask? I start by laying out some high-level topics for my mind map on Mindmeister. 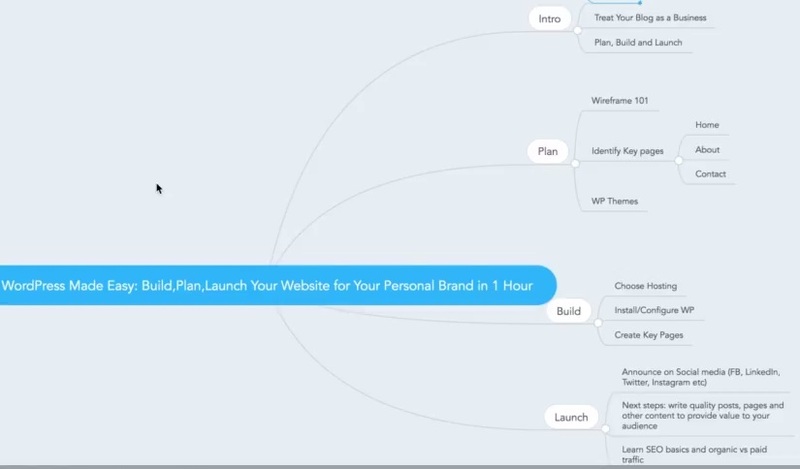 I’ve got Intro, Plan, Build, and Launch as my high-level topics for my WordPress Made Easy Course. Then, there’s some subtopics on what’s going to be covered in each one of those modules. 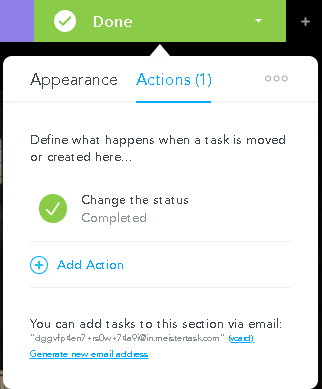 Now, while I have this outline open, I can then convert these topics as tasks in my task management app, which is Meistertask. In Meistertask, I have designated columns to complement my workflow which are Open, In Progress, and Done. I can create tasks manually in Meistertask, but I can also use this integration and connect a task board to my mind map. Because of this, I can simply drag and drop items from my mind maps and assign them to myself or another team member that I have shared the board with. These items will then be converted as task cards in my Meistertask project board. As an example, I’m going to take the “Intro” part of my course and convert the topics into tasks. I just drag and drop the “Intro” on my mind map towards my name on the bottom of the board. Now, the apps have created task cards in Meistertask assigned to me in the Open column of my project board. These apps and their integrations help me easily plan and monitor my course creation tasks. Once a task card has been created, I can modify it to include notes, tags, or a due date. I can also move it along the different columns so that I can better manage this task. After converting the topic to a task, a link also appears on my mind map which allows me to quickly check the status of the task on Meistertask. I have already finished this particular task. I created the slide for the Intro on Keynote and used Screenflow to record the video. Now, I can move it to the Done column. You can set this up so that any task you moved to the Done column will be marked as completed. You can do this by clicking on the drop-down arrow on the Done column, selecting the Actions tab, and choosing what you would like to happen to a card once it’s placed in that column. 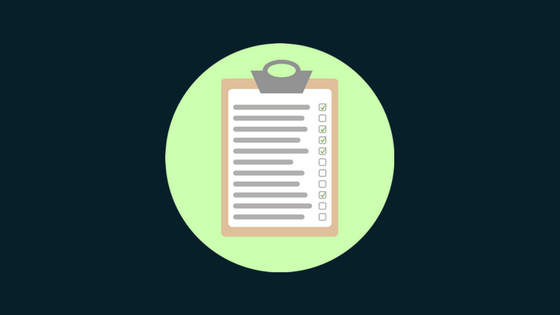 These are just some cool and quick things that you can do to manage the tasks that are required when planning and outlining during course creation. You may start with a small course, but it can grow to be pretty large and expansive. Not everybody can plan and record their courses in one day. I know some people they can, but I’m not one of them- most people are not. So, it’s good to have an outlining and task management strategy when building your online course. Building a course? I hoped this has helped you. How do you plan out your content?